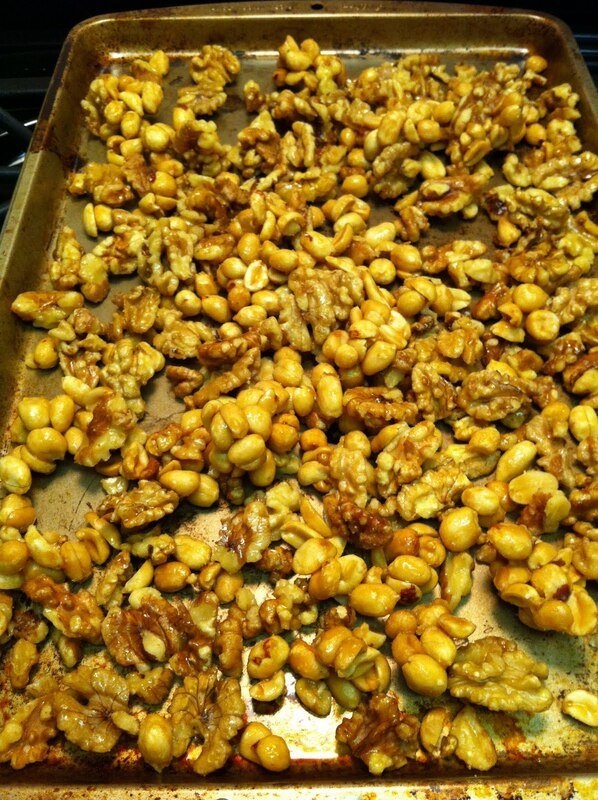 I saw Ellie Krieger make maple glazed walnuts on the Food Network. Walnuts are incredibly healthy and make a great snack. This time, I added a cup of peanuts (a) because I had them and (b) I thought it would make it even more fun to eat on our road trip. Sort of like Cracker Jack but not really. A salty/sweet masterpiece! Place the walnuts and peanuts in a skillet and cover with the maple syrup and salt. Let the nuts toast for 3 to 4 minutes. Transfer onto a baking sheet and let cool. The nuts will stick together. Break them up and eat in bunches.